Fumina Hara Supports Japan at World Cup! J-Cast has a short article about how some female idols are showing their support for Team Japan at the FIFA World Cup in South Africa. Among those mentioned is Fumina Hara (Sailor Moon from 1998-1999). Fumina has quite a few entries on her blog in support of the Japanese team! Fans may not know this, but on March 20th of 2007, Fumina married Japanese Sports Journalist (and former Soccer Player) Tetsuo Nakanishi. On June 11th, she wrote that she was happy to see the World Cup begin and told her readers to cheer for Team Japan. On the 14th, she wore her husband’s old jersey for good luck as Japan faced Cameroon. Japan won this game 1-0. She also told everyone to follow her husband on Twitter. On the 19th, she went to the Saitama Super Arena to watch Japan face The Netherlands. Japan lost this game 0-1, but on the 20th Fumina still held some hope that Japan would win against Denmark. Japan is currently tied for second in Group E.
Yuu Shirota (Tuxedo Kamen from 2003-2004) was also mentioned briefly on Sankei Sports! Some sentiments of his were shared with respect to Japan’s loss to the Netherlands on June 19th. He referred to the Japanese team as samurai who fought with dignity on the field. In the game against Denmark, he wants the team to win without fail. Yuu is also starring as Der Tod (Death) in Toho’s upcoming production of the Elisabeth musical in Tokyo. At the press conference, he was unsure if he would be able to sing well for the role, but he promised to try his best. He is excited about this role having seen the play 3 times when he was in high school. This production has been running since 2000, and in 2003, he auditioned for the role of the son, Rudolph. The director didn’t think he was quite ready then, but said in a few years he might be right for an adult role. And here he is, 7 years later! The play is slated to run from this August to October. Speaking of Yuu’s high school, CyzoWoman featured an article about it. Horikoshi Gakuen is a special high school just for celebrities that features sassy uniforms, flexible coursework and hours, and high security. The education there is first class, and the only electronic device students are allowed to have with them are their cell phones (no iPods allowed). Yuri Kuroda Directs Drama Students! Continuing the tradition of many Sailor Moon cast and crew to teach their craft to other students, Yuri Kuroda (Blue Sapphire) is now teaching drama students. The graduating class of Nanao Shinonome High School presented a work based on the Ganba no Boken franchise. 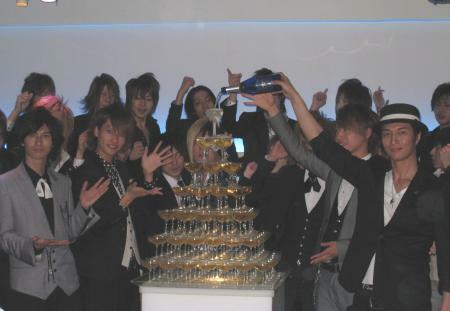 27 members under the direction of Kuroda worked for 8 months to put this production together. There was lots of intense acting, dancing, and action which impressed everyone that watched it! Her students were full of praise for her direction, even though they acknowledged it was a lot of work to put this together. Congratulations Yuri on both a successful production and school year! We’re a little behind on our posts – so this week will be mostly Sera Myu and PGSM will carry on until next week. Thank you Moonies! As of this writing we have 505 surveys for Phase 4! Only 195 to go till we hit our goal of 700! Today’s actor updates are all dealing with doramas and DVDs! Yuu Shirota’s New Samurai Drama to Get Boxset Release! 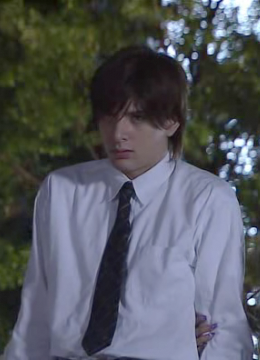 Yuu Shirota (Tuxedo Kamen from 2003-2004) keeps popping up in lots of different places! 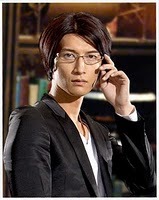 Last fall, he played Tsuyoshi Nakamura in the Japanese dorama Samurai High School. 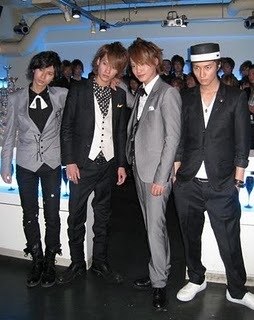 Tsuyoshi befriends the main character named Kotaro Mochizuki, who is a very special person. He experiences flashbacks of his past life as a samurai, and even awakens his ancestors within him to save the day. 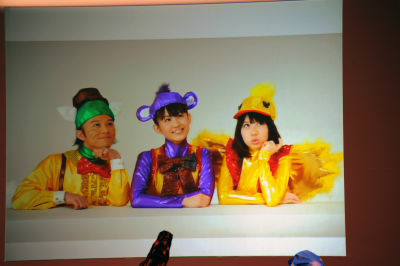 The show’s premise seems a little silly but it was a lot more popular than you’d expect, and it ran for 9 episodes on NTV! The show is set to get a DVD Boxset release on March 26th. It will be packed with extras including cast interviews, event footage, making ofs, and special stickers. Last fall on his blog, Yuu said that this was the first time he had ever played a good-for-nothing student, and said that this is the funniest dorama he has ever been in! He also wanted to assure his fans that his character’s pants were not rolled up because they were too tall for him, that it was just the way his character was supposed to dress. Fumina Hara in Drama Special! Fuji TV aired a 4-night special drama event in the beginning of March, and Fumina Hara (Sailor Moon from 1998-1999) was featured in the very last episode. Sotsu Uta was a slice-of-life/coming of age dorama featuring four women’s stories of graduation, that are based on popular graduation songs in Japan. Her episode aired on March 4th, and was titled Sotsugyou Shashin and was based on the song by Yumi Matsutoya. J-pop Queen Ayumi Hamasaki sang a version of this song on her A Ballads album, and fans can hear a version of it here. The story was about a radio personality named Hitomi Tachibana (played by Masami Nagasawa) who moved back to her hometown after working in the brutal Tokyo working world for a long time. She makes a brand new start in her old hometown with the help and support of a classmate from high school days. Fumina played Manami Kiguchi in the episode, and appeared for only a few moments. She played another employee at the same office as Hitomi, who was “sleeping her way to the top”. Fumina also appeared on NHK’s office sketch comedy series Salaryman Neo last year. That show is also on its way to DVD on April 10th. 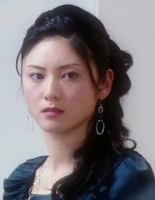 Reiko Kataoka is probably one of those Sera Myu stars who is barely remembered. She only appeared in one musical – Gaiden Dark Kingdom Fukkatsu Hen as an ensemble member. She has since gone on to appear in many doramas and films, and one of those doramas is Gaiji Keisatsu. This show is about a special police unit that deals with threats like international terrorism and espionage. 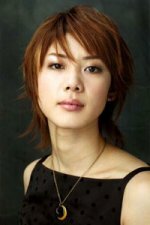 She played the leading role of Sargent Ayane Igarashi, a gutsy Sargent who is ruthless and given many tough assignments. She tires of her job and wants to retire. The show was just released on DVD on February 23rd. It’s surprising how far some actors from Sera Myu have come, even if they were only featured in a very minor role in the musicals! 3 Days of Sera Myu – Day 2: Sailor Mars, Tuxedo Kamens, and Sailor Star Fighter all in New Doramas! Risa Honma Stars in New Calligraphy Club Dorama! Risa Honma, best known for playing CereCere in 2001 and Sailor Mars from 2004-2005, has a supporting role in a new dorama called Tomehane! Suzuri Koko Shodobu. This show is about a girl from Canada who returns to Japan after many years, and finds that she likes Japanese calligraphy. She joins her new high school’s calligraphy club, but the tiny club is in danger of being abolished without enough students. This is a slice of life drama, and Risa plays Arisa Hatakeyama, a member of a prestigious calligraphy school’s staff. 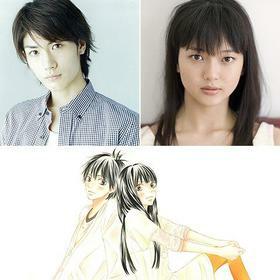 The dorama is a live-action adaptation of a popular manga in Japan which ended last year by veteran mangaka Katsuoshi Kawai. Calligraphy is not just about learning the different characters and making them, but also “performance calligraphy” which involves dancing and drawing them. This series began January 7th on NHK. It was only meant to be a 6 episode special, and just ended on February 11th. Since Sera Myu ended, you may be surprised to know that Risa is a budding Sailor Pluto! She lists astrophysics as a hobby, and studied physics at Nihon University, Japan’s largest university! Kousei Amano Plays a Host and is in a Special Boy Band! Kousei Amano (Tuxedo Kamen in 1999) is now starring in a dorama that is adapted from a popular novel by Miaki Kato. 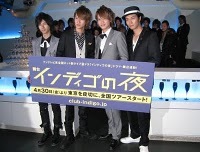 Indigo no Yoru (or Tough Times at Club Indigo) began on Fuji TV in January, and tells the story of Akira Takahara, a woman who once was a successful editor at a major Japanese publisher. One day, her fiance suddenly disappeared, and an unfortunate embezzlement incident later caused her to lose her job. She ends up as the manager of Club Indigo, a strange host club in Shibuya. With various shenanigans happening every night around the club, she and her hosts become amateur detectives to try to solve the cases. Kousei plays a host named “Inu Man” (or Dog Man in English). But what’s even more interesting is that he is ten years older than the youngest host, and the two of them along with the famed Takagi twins have formed a pop unit! 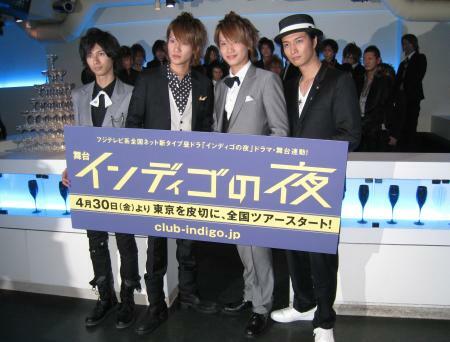 They are called INDIGO 4 and sing the theme song to the show “Kokoro -Dear my friends-“. The single is set to be released today! This show also has a connection to PGSM, as Masu Takeshi (Rei’s Dad) also appears in this show playing a supporting role as Mama Nagisa. And if the name of this author sounds familiar, it is! Miaki also wrote the Mop Girl novels, which were later turned into a dorama starring none other than PGSM Sailor Mars, Keiko Kitagawa! The story has also been adapted for the stage, and is set to debut on April 30th at the New National Theatre in Tokyo. 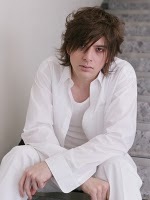 Yuu Shirota in New Movie Based on Popular Dorama! Yuu Shirota (Tuxedo Kamen from 2003-2004) reprises his role as the condemned criminal Mariya Kyousuke in the just released Koshonin: Time Limit at 10 000 m Above the Ground. This movie is a spinoff from the popular Koshonin: The Negotiator dorama in Japan which lasted for two seasons. The show’s premise seems very familiar to that of Flashpoint, but with detectives involved with the Special Investigations Team (SIT). An airplane is hijacked in this movie, but the team’s lead negotiator Usagi Reiko is on the flight, and races against time to save the day. We also came across this very special interview that was conducted by Cinema Today to celebrate his 24th birthday. 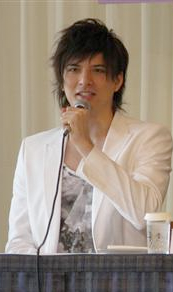 Yuu Shirota is half-Japanese, half-Spanish, and was largely raised by his Spanish mother. He was asked about cultural differences with Spanish people, and he noted that he lived in Spain when he was a child. He said something interesting that Japanese people are shier than Spanish people. For example if you bump into someone and they drop their handkerchief, in Japan they very hurriedly say “Sorry!” and keep going. In Spain though, people are a lot friendlier and the conversation would go something like “Hey, I dropped my handkerchief!” “Oh, I’m sorry! Can I help you?” He thinks people feel closer in Spain to each other. He has immense respect for his mother since she raised him and his 4 siblings alone in Spain, and had a hard time raising them in Japan where she didn’t understand a word of Japanese. She had been through so many hard times, but she raised them all “splendidly”. He has immense respect for her, and how she helped them all to grow. On his birthday each year, he says that he thanks his mother for giving birth to him. He thinks that the day when children get presents should be a day when they thank their mothers for giving birth to them, since they are the reasons that they are alive and living happily! And, he especially notes that mother hurt her belly giving birth to him, and that the father’s genes are important too. Mikako Tabe (Yaten Kou/Sailor Star Healer from 2003-2004) is starring in a new adaptation of a critically acclaimed Japanese novel by Toyoko Yamasaki. Fumo Chitai (The Waste Land) began last October on Fuji TV and continues to run. This series follows Iki Tadashi, a former military leader who was captured by the Soviets during World War II. Treated as a war criminal, he was sentenced to many years of labor in a harsh Siberian detention camp. After 11 years of imprisonment, he is released. He returns to Japan and begins readjusting to life as a civilian, rejecting an offer from his former colleague to work on a defense project. Tadashi has decided to never involve himself in war again, much to the joy of his family. Instead, he attempts to set off on a new path working at a major trading company. 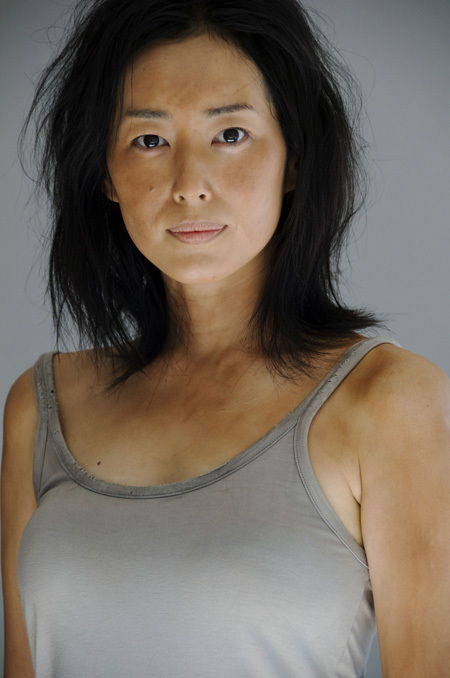 Mikako plays his daughter, Naoko in teh series. The series was not only shot in Japan, but also in New Zealand to re-create the Siberian detention camp, and is loosely based on the life of Ryuzo Sejima. This drama is doing very well in the ratings and is one of the more popular shows in Japan. A brand new recording was released of famed Japanese poet Noriko Ibaragi‘s greatest works. When I was Most Beautiful ~ Words to Live By ~ was released on January 30th, and Mikako can be heard reading her most famous poem “When I was Most Beautiful” about the unfairness of war among the poems included. Fans can read an English translation of the powerful poem here (and wander around and read her other poems too – they are great!). The poem, since its publication in 1957, has been translated into many different languages, and was even put to music by Pete Seeger in the late 60s. And, last December 4th, Japan’s prestigious Elandor Awards were handed out. These awards recognize excellence in Japanese cinema and TV dramas. Mikako won a “Rookie Award” for her acting in the Japanese fantasy film, Fish Story. Fans can learn more about the time-traveling adventure in a review from Variety (yes, this is in English). She played the schoolgirl Asami in this punk-rock themed movie about fate through the ages. There may be an international release of this film, but as of this writing no one has picked it up internationally (hey FUNImation, here’s a Japanese film actually worth licensing). Congratulations! Only one more day to go – guess who’s modeling, and guess who won an award for his performance in a Japanese production of a Shakespearean play?